Japan’s diplomats face a busy few months as Tokyo prepares to host the Group of 20 summit for the first time, just when international economic cooperation has rarely been under so much pressure. 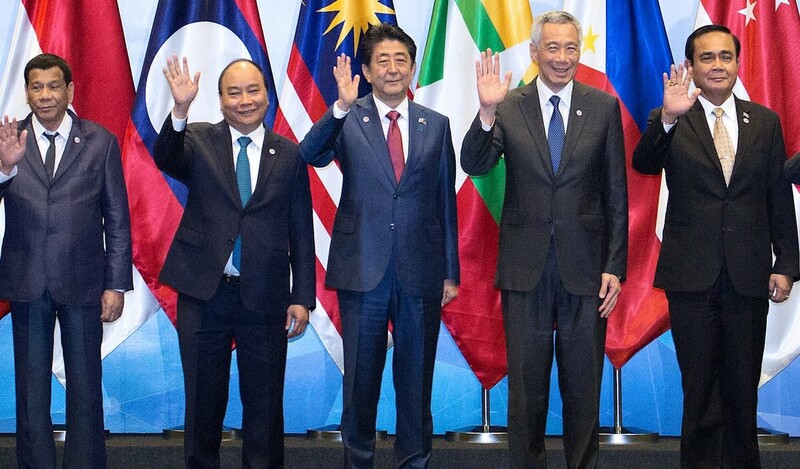 With a world undergoing tectonic shifts in geopolitics and multilateralism under attack, simply maintaining the global status quo and delivering an inconsequential G-20 summit in Osaka in June 2019 might itself turn out to be an achievement. Heading the group’s presidency, Prime Minister Shinzo Abe will earn his place as host if he can improve the climate for economic cooperation even by a degree or two. Given the low expectations running before the November 2018 Buenos Aires summit, the outcome was as a success. Not only did U.S. President Donald Trump and Chinese President Xi Jinping declare a temporary truce in the trade war that has cast a long shadow over the global economy, but the gathering of the world’s top 20 economies managed to produce a final communique, unlike the 2018 meeting of the Group of Seven in Canada or the Asia-Pacific Economic Cooperation gathering in Papua New Guinea. The curtain fell with leaders reaffirming their commitment to adhere to “rules-based international order” in the joint communique. That is a lot better than nothing. Japan needs all the support it can get. The multilateral trade order that lifted billions out of poverty is under threat. Globalization has created a sizable population of have-nots who in many countries have elected populist leaders to solve their problems. Those leaders, most notably Trump, are mostly inward-looking and pursuing agendas inconsistent with the core tenets of free trade. To his credit, Abe has demonstrated willingness to stand up to protectionist initiatives, including the recent U.N. General Assembly speech whereby he strongly defended the mantle of free trade. He was the first foreign leader to meet Trump to try to keep the U.S. in the Trans-Pacific Partnership economic pact. Even though he failed, Japan led the way in persuading remaining TPP parties to complete the accord, even without the U.S.
At home, Abe’s initiatives to bring momentum to deflationary economy popularly known as Abenomics has also seen some success, with the benefit spilling over to trading partners. However, even though it is second only to China among Asian economies ranked by size, Japan has yet to play an effective role as a stabilizer in the Asia-Pacific region and mitigate U.S.-China tensions. With Beijing and Washington playing belligerent tunes, there is space for Tokyo to take bold steps, and the G-20 presidency should give it a better platform on which to act. With G-20 as a platform, Japan can facilitate dialogue between U.S. and China, and ease its own differences with Beijing. Meanwhile, environmental questions have never been more urgent, as witnessed at the December 2018 conference in Poland, when three G-20 economies — the U.S., Russia, and Saudi Arabia — were among those who broke ranks with the majority and successfully demanded a watering down approval of a key scientific report — from the Intergovernmental Panel on Climate Change. Only six months left before the G-20, Japan can play a constructive role in trying to bring these three G-20 economies on board in the global fight against climate change. Japan, itself a signatory of the Paris Agreement, could use its influence with the three nations, particularly the U.S., to achieve greater agreement among the G-20 leaders on climate change. Also, to safeguard its clout and investments in the Asia-Pacific, Japan can be more than an obedient U.S. ally in the region. The country should undertake independent policies and lead multilateral cooperation, even without the U.S., as it did in forging the Comprehensive and Progressive Agreement for Trans-Pacific Partnership — the successor to the TPP abandoned by Trump. To counterbalance an assertive China, Japan should promote regional security, cooperating closely with other democratic countries in the East Asia, back international investment projects to counter the influence of Beijing’s Belt and Road Initiative and increase its engagement with groups like the Association of Southeast Asian Nations. Japan would also enhance its leadership credentials if it played a bigger role in international social and humanitarian issues, such as refugee crises, including in Asia, where the plight of the Rohingya refugees from Myanmar makes headlines. According to United Nations data, 66 million people have escaped their homeland to avoid conflict. By 2030 the world could have 180 million-320 million displaced people. Many countries have played important roles in responding to the crisis — Uganda, in Africa, for example, Germany and Turkey in Europe, and, in Asia, Bangladesh, which hosts the bulk of the Rohingya refugees. Japan is a signatory to the U.N. Refugee Conventions promising refugees’ shelter but it still accepts appallingly few people. According to Japan’s Immigration Bureau, 4,882 asylum-seekers have applied for refugee status in Japan since 1982 and only 410 have been granted asylum. Germany accepted more than a million in 2015-2016 alone. Japan should find a way to relax its stringent asylum policy. Granting asylum to around 20 refugees per year is incredibly insignificant. Abe has, to his credit, tried to liberalize immigration against the backdrop of an unwilling nation. Tokyo is preparing a new visa status for nonprofessional foreign laborers, alongside existing rights for high-skilled workers. By 2025, Japan is reportedly considering letting around 500,000 relatively low-skilled laborers enter the country to ease labor shortages. This is a breath of fresh air. It shows Abe’s willingness to undertake unpopular initiatives for the long-term benefit of his country. But admitting more economic migrants is not the same as welcoming refugees. There is much more work to do. To effectively lead the international community, Japan should start leading from the front as opposed to being pulled from the sides. For people to see a “revitalized” and “transforming Japan” as the official government website says it seeks, Tokyo needs demonstrate that it is not preoccupied with its own agenda but tackles issues of importance to the world at large.